HUMAN - Slow down man! The speed limit is only 40 kmph!! WARP - Hurry up man! 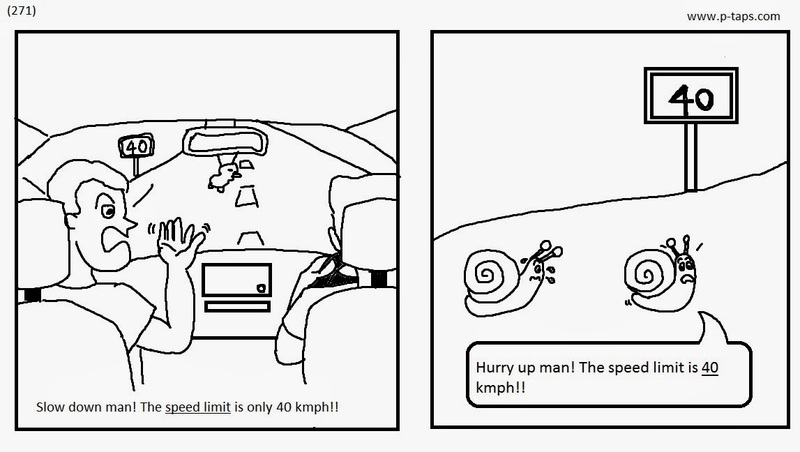 The speed limit is 40 kmph! !